Editors Note: From August 14-20, 1971, a team of researchers led by psychology professor Philip Zimbardo at Stanford University conducted the Stanford prison experiment (SPE) which was a study of the psychological effects of becoming a prisoner or prison guard. The experiment was conducted at Stanford University. The results of the experiment favor situational attribution of behavior rather than dispositional attribution (a result caused by internal characteristics). In other words, it seemed that the situation, rather than their individual personalities, caused the participants' behavior. When first learning of CopQuest: Bob's First Day, and hearing the story of the insipiration behind it, the messaging around its social importance was clear. More importantly, it placed the player in the role of Officer Bob. Games are a great medium as they place the player in the role of Officer Bob. The intent is to help the player understand the decisionmaking process that Officer Bob goes through and how those decisions lead to various outcomes. The team, Verge of Brilliance, is currently finalizing a Kickstarter to complete the game. We urge you to check it out here. In this Edition of Stories behind the Apps, we are speaking with Evie Powell of Verge of Brilliance LLC regarding their new app: CopQuest: Bob’s First Day. Hi Evie, please tell us about your app! CopQuest is a game about police brutality in America. Its game narrative is based on real incidents reported in current events. It’s lighthearted where you wish it wasn’t. Conflict resolution is almost always heavy handed. It’s unendingly apologetic, sympathetic, and lenient to a system that is desperately in need of reform. No matter how many mishaps, things never change for the better. Please describe what your app is and why it’s different from similar apps or competitors. From a technology standpoint the game is novel in that it features a language understanding model trained by many players/testers. We often describe it as a text-based adventure game with a modern twist but more informal than text-based adventures in years past. The players act as Officer Bob's conscious and suggest actions for him to take. The player can type these actions in natural written language – so a player does not have to subscribe to a set format. The game has been featured as a museum exhibit in Seattle. The game did well at the exhibit and feedback stated that many people would like to see the game in more places. As it exists today, the game is too short. We want to make a bigger, better, more polished version to release on many platforms. Could you describe how you designed your app icon and user interface? CopQuest is a text-based adventure game where the player makes use of an advanced text-parsing engine to interact with the observed game elements on screen. The player controls the protagonist by commanding him to interact with his environment, for example, “try looking at the desk” or “speak with the chief”. The player assumes the role of Officer Bob Allegedly, a rookie learning the ropes on his first day as a police officer. The UI is pretty simple and we have plans to make it even simpler with a "Speak to Bob" option, where the player presses a single button and verbally suggest actions for Officer Bob to perform. What software development tools, people, or communities particularly helped you in creating the App? What lessons did you learn in using these resources? It takes a community to get a message like this out to people. It's when people truly believe in a project and what it stands for that you get to see the best in people. I hope we can continue to build a game that inspires caring and positive change. What would you say went right and wrong with development and release? So far the kickstarter has been a challenge. We learned that prior to launching a kickstarter the majority of your funding sources should be secure. Also, that UI is something that needs to be evaluated across many different player demographics when making a game that is socially conscious. Harder interactions or more old school interactions are fine for the "gamer" population but non-gamers really want to get behind the message as well. We are currently investigating more ways of making the game accessible to all. Who is on the team and what are your roles? What was the team doing in life and work before you started building the app? We were working on contracts and another internal project: Mebols. Mebols is a social game that features Pod Play, where people are using several mobile devices to form one big play space. The primary contributors of CopQuest form a development studio called Verge of Brilliance LLC. We are all about making games that create meaningful experiences. What are some apps you can’t live without or that inspire you? Game Dev Story – a mobile game about being a game designer. Its inspirational; Facebook; Spotify – a music app AND social network; and Alpaca Evolution – a game that captures the heart of being and indie game developer. What platforms are you publishing your app on? What is the current status of your app? iOS – The app is currently in development on iOS and there is no link available. Go to our website to monitor its status. Android – Ask for special preview link for Android build which is not yet available on Google Play Store. You can currently play the demo on a non-mobile web device here. Editors Note: Carcassonne is a board game where players lay tiles to determine layout and develop many variants for unique game play. It is set in the southern French city of Carcassonne which is famous for its unique Roman and Medieval fortifications. The players develop the area around Carcassonne and deploy their followers on the roads, in the cities, in the cloisters, and in the fields. The skill of the players to develop the area will determine who is victorious. In this Edition of Stories Behind the Apps, we are speaking with Ben Goevaerts regarding their new app, Carcapp. Hi Ben, please tell us about your app, Carcapp! 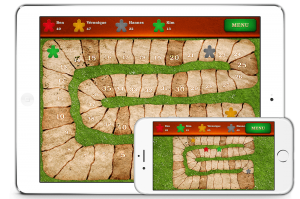 Carcapp is a very simple app to guide you while playing the classic board game Carcassonne. The game includes a complicated scoring system. Scoring is a challenge in that you need to manually count and track the points you receive, it detracts from gameplay. This is where Carcapp comes in. It's a simple scoring system where you can select a color, enter the names of the players and add points whenever needed. We're currently planning to expand Carcapp with more features that work great with Carcassonne expansions. Please describe what Carcapp is and why it’s different from similar apps or competitors? Other app’s use the standard iOS design which was not intended for Board Games. Carcapp has a custom design that matches perfectly with the original game style. Where did the inspiration for the design of the Carcapp icon and user interface come from? The inspiration for design and the app icon came from the box of the board game and manual, while the real inspiration for Carcapp was Carcassonne itself. Personally, I enjoy the game very much because it’s played with many variations and aspects. The tactics used when playing with two people are very different than when playing with three to six people. There is one way to play the game, as can use different tactics with different players. It gets really fun when you are playing with a new player – you need to get to know him as a player and then adapt your own tactics. You have the option of adding many different expansions and the game can be played with many more players. The ability to expand the game and play with many people makes it impossible to get boring! I always try new expansions with friends, which is why we will soon update the app to support more of those expansions. What software development tools were particularly helpful in creating Carcapp? Photoshop for the design work and Xcode for coding. Did you learn any lessons while using them? The development tools worked great! We had no issues. Was there anything that went right or wrong with development and release? Carcapp is a very basic app so everything went quite well. First we completed the design, and then we did the development work. We submitted it to iTunes and Apple released it. It is a paid app, (USD $0.99), and very quickly we had about 150 people who have downloaded it. We are already planning updates as some of our users are already requesting them! We are a small team. Currently, there are two of us, Pieter Baeyens, who is our Designer and myself, Ben Goevaerts – iOS developer, idea guy and marketer. What were you and Pieter doing before you doing in life and work before you started building Carcapp? Pieter is a student studying graphic design. I have been doing freelance iOS development work. In my spare time I love to make apps for myself. The actual Carcassonne App where you actually play the game is amazing. It's design, gameplay and UX is perfect. I wish every app were like that. Carcassonne is currently available in iOS only – (sorry Android fans), it is currently available in iTunes, available for download. 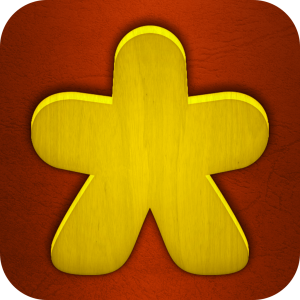 If you love Carcassonne and want to simplify scoring for you game play, check it out and download it from iTunes. Tell us about gWhiz, who is on the team and what are your roles? 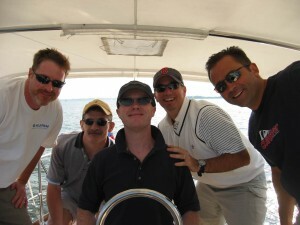 gWhiz LLC was founded in 2008 by Kevin Reville and Mike MacDonald, both of whom had enjoyed success with prior startups. Early on, they recognized the potential for mobile technology to revolutionize learning so they built a team of dedicated professionals including project managers, technical architects, developers, graphic designers, and marketers to build the company. How is gWhiz different from similar apps? The company’s first and most popular educational app is gFlash. This app was the first totally free flashcard app on the app store. It was also the first flashcard app to offer auto-generated multiple choice, adaptive study, flashcard content from brand name publishers (McGraw-Hill, Wiley, and others), Google Docs integration, the capability to share flashcard sets with other users via email, and a matching game. It allows users to study at their own pace and on their own time, wherever life takes them. 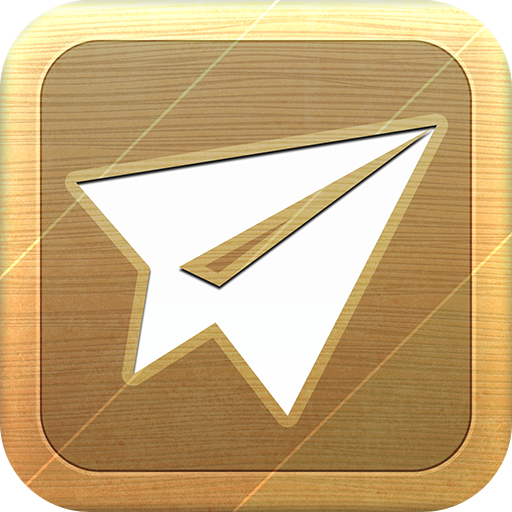 What was the inspiration for the design of your app icon and user interface? The icon and user interface are a result of gWhiz’s design goal for a fast, mobile flashcard solution. Creating paper flashcards is labor intensive and time-consuming. To create cards directly on a mobile device can have its challenges too. So co-founder Kevin Reville came up with the idea of creating flashcard content using a Google Docs Spreadsheet. 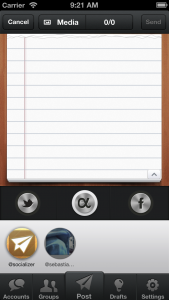 This enabled users to quickly create flashcards and upload them to their iPhones and share them. This innovation is one of the app’s greatest features and a differentiator from competitors. It was also the inspiration for the “g” in the icon and the name. What tools, people, or communities were particularly helped you in creating gWhiz? The original inspiration was a stack of paper flashcards that sat on cofounder Mike MacDonald’s kitchen table. When Mike got the idea from his seeing his daughters flashcards in late 2007, smartphone use had yet to take off. The first release of gFlash on BlackBerry was met with moderate success. In 2008, when Apple released the iPhone and iPod Touch, adoption took off. Our user community has been a great source of feedback. We obtain feedback directly or through App Reviews. This has helped greatly and many gFlash features are a direct result of customer feedback. Our publisher partners, McGraw-Hill, Barron’s, Wiley, and others have been very helpful. They have been in the business of education for a long time and have helped greatly by providing high quality content, advice and guidance. We have also been fortunate to benefit from close relationships with people working in education – from pre-k to college professors; and naturally our students too! Most importantly our friends and family have provided immeasurable support throughout the process. Our users are absolutely the best students. They excel and get good grades, usually beyond the expectations of their teachers. They are often Advanced Placement (AP) students; law school graduates; studying for the EMT exam or pilots undergoing recertification. They have high expectations and demand reliability, customization, and features that help them learn faster with better results. There is no question they have made our apps better. For development tools we have used Xcode from the start. We have had a few challenges along the way but have found success learned to expect the unexpected. With Android, we use Eclipse as part of the Android ADT package to develop gFlash and many of our other apps. With so many phone configurations, it can be a challenge. What would you say went right and wrong with the release? We were early entrants into the mobile education space and able to gain first-mover advantage. As a result, we gained a large and loyal following among students of all ages and remained the number one Educational app in the App Store for over a year. What were you doing before launching gWhiz? Co-founder Kevin Reville has managed the development of hundreds of applications. He has been the project manager for every key publisher partnership to date. Prior to its acquisition by The Boeing Company, Kevin was instrumental in the creation and growth of Conquest, Inc. — a premier provider of advanced large-scale systems and software technology solutions to federal and commercial users. Mike MacDonald co-founder and Chief Innovation Officer has oversight for the overall design of new apps to ensure consistency and maintain the vision across platforms. He has also led the development of many of the gWhiz apps and is a key innovation leader in the industry. Mike is former founder and CEO of Visual Mining Inc., a leading provider of data visualization capabilities. Mike has over 20 years experience developing commercial-grade software applications. What are some apps that inspire you? As a small company, we have turned to social media to get our message out. So Facebook, Twitter and Buffer are key apps we use on a daily basis. We found inspiration in Words with Friends in developing one of our other apps. We wanted to integrate gaming in a test prep app to help make studying fun! 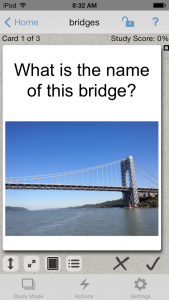 We liked the idea of gamification and wanted to create a compelling to integrate into a test prep app. Head over to the App Stores and download gWhiz! Hey Devs! Want to be featured like gWhiz? Head over to this link and apply! We are re-running some of the original App stories as we kick off 2015, Enjoy! Tell us about Socializer! The idea behind our app is to simultaneously post to unlimited App.net, Twitter & Facebook (pages & timeline) accounts without ever leaving one application. In times of a growing number of social media services and the growing usage we needed a way to post at the same time to all services. That's why we thought about creating an app that can do this. We mixed in some great features like a counter, groups and drafts and called it Socializer. How is it different from similar apps or competitors? Our app is designed to pay attention to the small details you need when you are posting to multiple services on a daily basis. Socializer helps you do this easily and conveniently with as few taps possible. For example, we support custom groups to put your favorite accounts in order to post faster to selected and specific accounts. What went into the design and UI? The UI/icon was designed using Photoshop, coffee and much love. What tools or resources did you use in building the app? We are inspired by the need of people using multiple services like Twitter, App.net and Facebook simultaneously. Based on that our family supported us as well as friends and beta testers. What lessons did you learn using these resources? Without a plan you are screwed and Photoshop is not as easy as it looks. What went right and wrong with the release? Right: We were approved right in the first round. The release went smoothly and people liked the app. Wrong: We thought the initial push would be bigger and people would recognize the app more. Who is on the team and what are your roles? Basically our team consists of two people. Reggie Ashworth is the developer behind this piece of software with many years of coding experience. He coded the whole app, all functions and connections to the social services from the ground up. 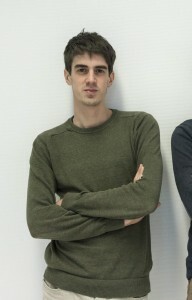 Sebastian Tischer is the marketing specialist behind Socializer. He has an Bachelor of Arts in Marketing and soon to be Master of Arts in online, social media and inter-cultural marketing. Furthermore he is responsible for design, concept and Web Design. What were you doing prior to creating Socializer? Reggie is a independent developer whose apps you can find here: http://www.reggieashworth.com Sebastian is finishing his studies and works as a marketing consultant. What other apps can't you live without or inspire you? Our favorite apps are all apps from the Omnigroup as well as Postbox for mail, Tweetbot and Podio for our project management. Head over to iTunes to download Socializer! Hey app devs! Wanna be featured like our friends at Socializer? Click Here.